The long campaign to overhaul U.S. immigration laws may be derailed for yet another year - this time by the deteriorating economy. Lawmakers, lobbyists and advocates on both sides of the issue said the highest unemployment rate in more than 25 years would make it difficult for President Barack Obama to push legislation that would legalize millions of immigrants in the country illegally and create a new guest-worker program. "The debate has changed," said Senator Jeff Sessions, an Alabama Republican who opposed immigration legislation when it was last considered in 2007. "I don�t think it�s going to be a pleasant discussion because the American people won�t be happy about it." This month, White House Spokesman Robert Gibbs said Obama would soon introduce new plans for overhauling immigration, a legislative priority for companies such as chipmaker Intel Corp., hotel-chain Marriott International Inc. and Western Union Co., the world�s biggest money-transfer business. In Mexico City last week, Obama, 47, said he remains �committed to fixing our broken immigration system,� and a Senate committee has announced it will begin hearings on the issue next week. Still, David Axelrod, a senior White House adviser, said the president may not be able to make good on his promise to sign legislation within his first year in office. "We�re committed to beginning that discussion this year," Axelrod said in an interview last week. "Whether we complete that this year is another question." Obama�s predecessor, President George W. Bush, abandoned a push for a comprehensive plan in his first term after the Sept. 11 attacks raised concerns over border security. A proposal he initiated in his second term was killed by Congress in 2007, even though it was supported by the U.S. Chamber of Commerce, the largest U.S. business lobbying organization. The group said it would support renewed efforts this year. "We are cautiously optimistic," said Angelo Amador, the chamber�s director of immigration policy. Technology companies such as Santa Clara, California-based Intel are pressing for an increase in H-1B visas for highly skilled workers, such as computer engineers. Englewood, Colorado-based Western Union and Bethesda, Maryland-based Marriott have joined a new advocacy group, ImmigrationWorks USA, to push for legislation. "The president is talking about it and he�s going to do it," said Tamar Jacoby, the Washington-based group�s president. Yet Rogan Kersh, an associate dean at New York University�s Wagner School of Public Service, said a new immigration proposal could be a particularly hard sell with the public and lawmakers of both parties after the jobless rate rose to 8.5 percent last month, the highest in more than 25 years. "Rising unemployment rates, coupled with continuing dismal economic news, are battering the public�s inclination to back a change in illegal immigrants� status, which was never that strong to begin with," said Kersh. Jennifer Verdery, director of workforce policy for Intel, agreed that the economy may delay action. "It�s clear that immigration reform is something that has been put on the back burner," she said. Opponents have seized on the unemployment numbers. Immigration-legislation proponents �are going to have to be faced with the argument that I and many others are making: Illegals are taking jobs Americans now want,� said Representative Steve King, an Iowa Republican who opposed the previous immigration measure. Nonetheless, Senator Charles Schumer, a New York Democrat, said he was undeterred by �these difficult economic conditions� and would press ahead with hearings this month in the Senate�s Subcommittee on Immigration, Refugees and Border Security, which he chairs. "There is a real chance of passing comprehensive reform this year," said Schumer, 58. Two years ago, opposition focused on two parts of the measure that would likely be included in any new proposal: a path to legal citizenship for 12 million illegal immigrants, and a new guest-worker program to allow hundreds of thousands of immigrants into the U.S. each year to fill low-paying jobs. Even supporters of the earlier immigration proposal said attempts by Congress to take up those provisions again will meet even greater resistance this time. "Obviously, anytime you have difficult economic times it�s difficult to conjure up creating a guest-worker program," said Senator Mel Martinez, 62, a Florida Republican who backed the 2007 measure. The earlier legislative proposal would have granted visas to as many as 200,000 temporary workers each year. Instead of specific limits in new legislation, labor groups are pressing for the creation of a commission to decide how many temporary and foreign workers should be allowed in, the AFL-CIO and Change to Win, which represent 17 million union members, announced April 14. "The labor movement will speak in one voice," AFL-CIO President John Sweeney said. Rising unemployment already has led Congress to curb immigration. The economic stimulus bill approved in February included a provision to restrict the hiring of immigrants under the H-1B skilled-worker visa program by companies that have received government bailout funds such as JPMorgan Chase & Co., Goldman Sachs Group Inc. and Citigroup Inc., all based in New York. In addition to seeking to limit inflows of foreign workers, King, 60, said opponents would try to block efforts to legalize the estimated 12 million immigrants in the country illegally. 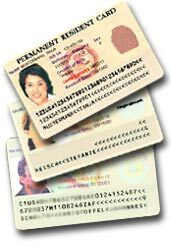 The 2007 proposal required illegal immigrants to pay fines and back taxes and become proficient in English before applying for legal status. Opponents decried it as an �amnesty� for lawbreakers, and King said they would do so again. "To push an amnesty plan in the middle of this economic environment I would have said a year ago is the height of irresponsibility, but there have been so many irresponsible things since then I don�t know how to actually describe it," King said.